Mac Pro owners can benefit from an Ultra HD 4K monitor (or three), so here are 10 options to choose from. The long-awaited new Mac Pro has now been available since the beginning of the year, and since then several 4K monitors have emerged as ideal companions for Apple's powerhouse. The Mac Pro has support for up to three of the Ultra HD resolution 4K displays (that's four times the resolution of Full HD), so Mac Pro customers are likely to be contemplating which display to choose. We've seen no sign of an Apple-made 4K display, something many have been expecting in the form of an update to its Thunderbolt display. The first beta version of the upcoming OS X Mavericks 10.9.3 update hints that Apple could be working on a 4K display, though, as non-Retina Mac users will be able to natively set their 4K monitors to run OS X at "Retina" resolution. Apple has also added support for driving 4K screens at 60Hz in OS X 10.9.3, another hint at an upcoming 4K monitor from the company. Apple may decide to launch a new display at some point, but in the mean time, there are several to choose from from third-party display makers as listed below. In addition to the new Mac Pro, the Retina MacBook Pro also supports 4K displays. At the end of March, Samsung revealed the pricing and release schedule for a new line of consumer monitors including its first 4K display designed for desktop use. It sports a 3840 by 2160 resolution, and measures 28 inches diagonally. The exciting news is that Samsung's 4K monitor carries a price tag of just $700 (around £420), which is significantly lower than some of the competition. The displays are currently available to preorder in the US and are set to begin shipping later this year. We'll update this article with UK information as soon as we get it. Dell unveiled 24in and 32in Ultra HD 4K monitors (above) with 3840 x 2160 resolution at the beginning of December, both available to buy now at £1,059 and £2,375 respectively. 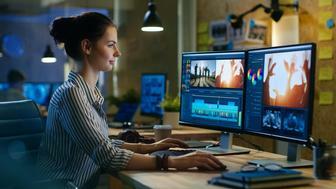 A more affordable option from Dell is the 28in Ultra HD 4K monitor which costs just $699, though it doesn't seem to be available in the UK yet. We used the Dell UltraSharp 24 Ultra HD monitor with out Mac Pro to create a 24in Retina display. Here's how. LG's first 4K monitor, called the Real 4K 31MU95, was launched in January at CES in Las Vegas. It's a 31in monitor with a widescreen 19:10 ratio, with a 4096 by 2160 pixel resolution. LG will also be offering 34in and 29in UM95 models with 3440 by 1440 resolution at a ratio of 21:9. LG hasn't announced pricing yet, though. Asus's PQ321Q is a 31.5in 4K monitor has a resolution of 3,840 by 2,160 pixels. 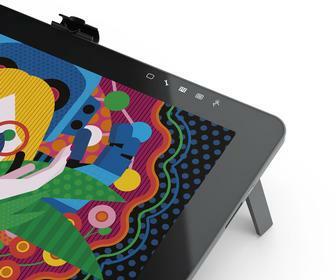 It's super-thin, at just 35mm, and has an ant-glare finish perfect for designers. It's £2,999, but you can save more than £100 if you shop around. If that's a bit above your budget, Asus is also offering a 28in 4K monitor with the same resolution as the PQ321Q. The PB287Q, which will be available in the second quarter of 2014, has a smaller and cheaper chassis to the more expensive model mentioned above, bringing the cost down to just $800 (around £500). Also more affordable at around £500 is Lenovo's ThinkVision Pro2840m 4K monitor (above), which is expected to arrive in April 2014. It has a 3840 by 2160 resolution display at 28in. Apple sells a 31.5in Sharp 4K monitor on its online store, for £3,499. The Sharp PN-K321 4K Ultra HD LED monitor has a resolution of 3840 by 2160 pixels. Sony has a 4K monitor, the PVM-X300 (above) – which was unveiled at the IBC 2013 trade show. Targetted at professional video editors, this broadcast and feature-film quality model has a 10-bit colour depth and a wider range of inputs than the other models we've featured here – but comes with a price tag of around £20,000. You don't have to just focus on displays. Seiki offers a 50in 4K TV with 3 HDMI ports that can be used as a monitor. The best part is that it's cheap, at around £1,000. 50in may be a tad too big, though, so there's a 39in version that's even cheaper, at around £500. We haven't seen the Seiki TVs in the UK yet, though.